Good Morning my Lovelies!!! 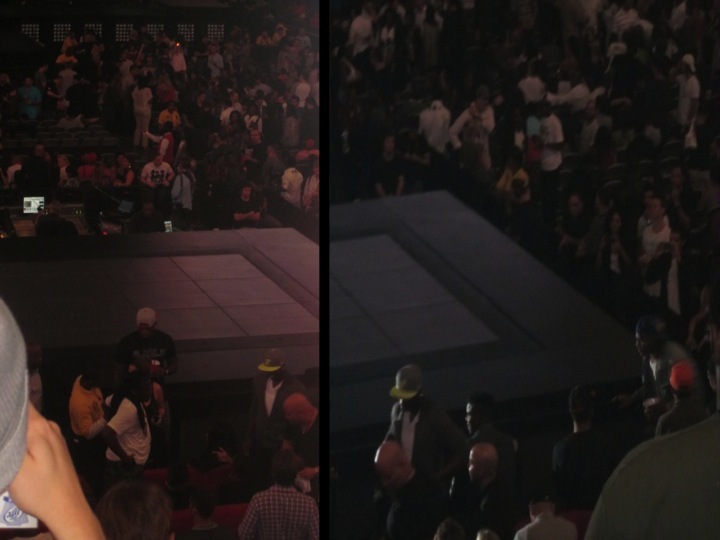 As you all know I attended the Watch the Throne concert last night. 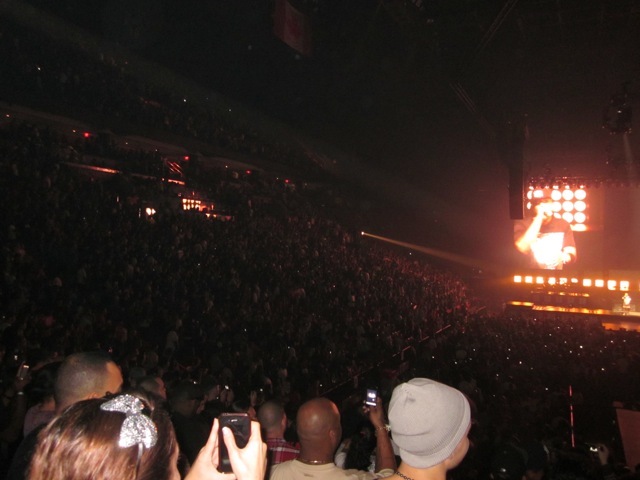 I have one word to describe my experience at the WTT…. BANANAS!! I am not going to talk much because I am still exhausted from such a exciting and historic night! If you missed it… You missed history! 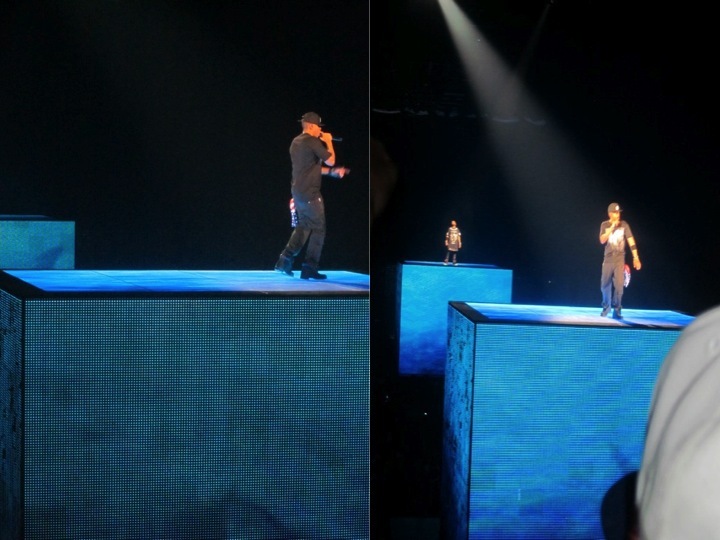 Jay and Kanye came out on these huge cubes that elevated as they performed. These two rappers embody swag!!! 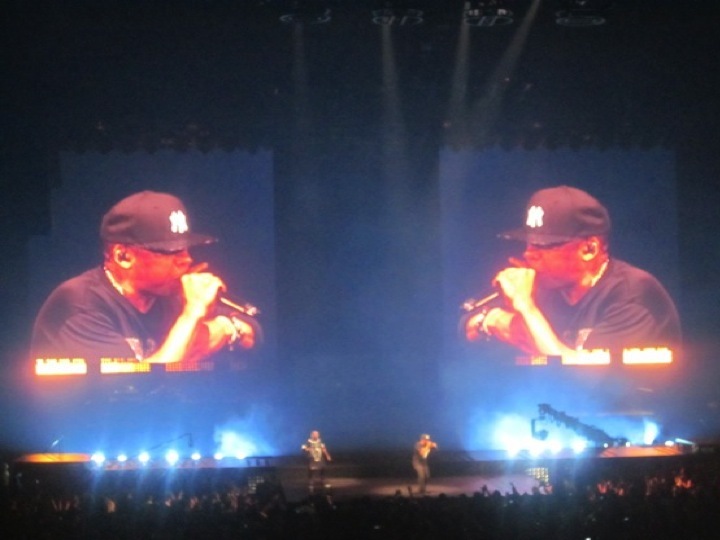 These two rappers performed N’s in Paris 5 TIMES back to back!! They also performed songs such as… Gotta have it, Monster, Made in America, Welcome to the Jungle, Otis, Lift off,etc. So this is what I wore to the concert!! Originally, I had hoped to wear pants and peep toe booties. I couldn’t find the right pants so I had to cross that idea off the list. Instead, I wore pleated shorts! Yes they are shorts. I found them at Macy’s last week and I just had to get them! They were very short but comfortable! 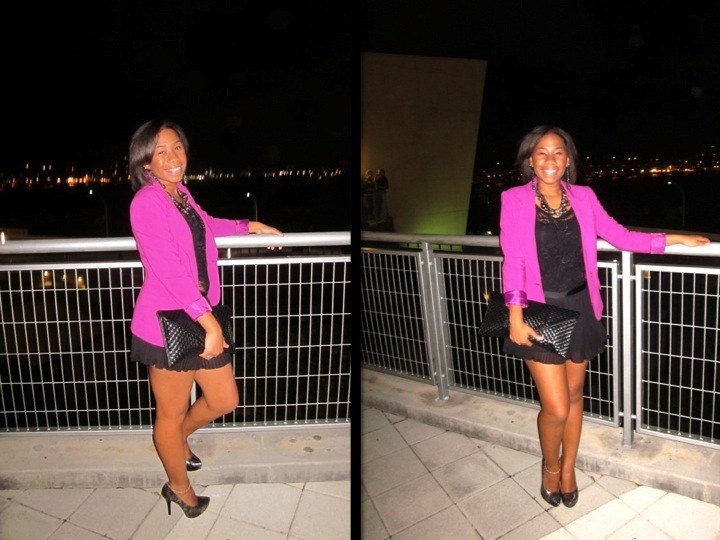 I then decided to rock the shorts with a black laced top and pink blazer. This blazer looks better in person. The camera made it look brighter. I thought I would definitely be able to use it during the holiday season. Lastly, I wore my Carlos Santana silver and black platform pumps and of course finished the look off with great accessories. This is my FAVORITE necklace at the moment. I purchased it at Century 21 in New York back in March and I love it. It comes with matching earrings. 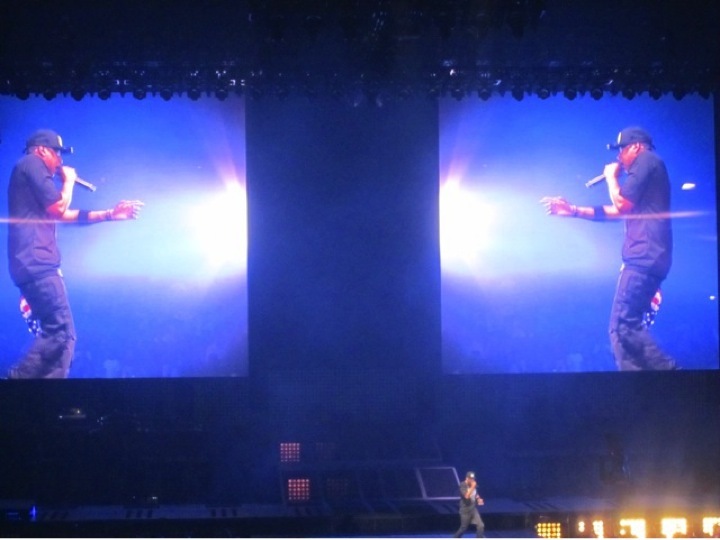 Ok so Jay performed songs such as…. Hard Knock Life, Jigga What, On to the next one, Empire State of Mind, Big Pimpin, I just wanna love you, etc. Jayz’s swag is EPIC. My GOSH! Crowd shot! Our seats were in section 113 which was pretty good considering that we bought the tickets a week ago. 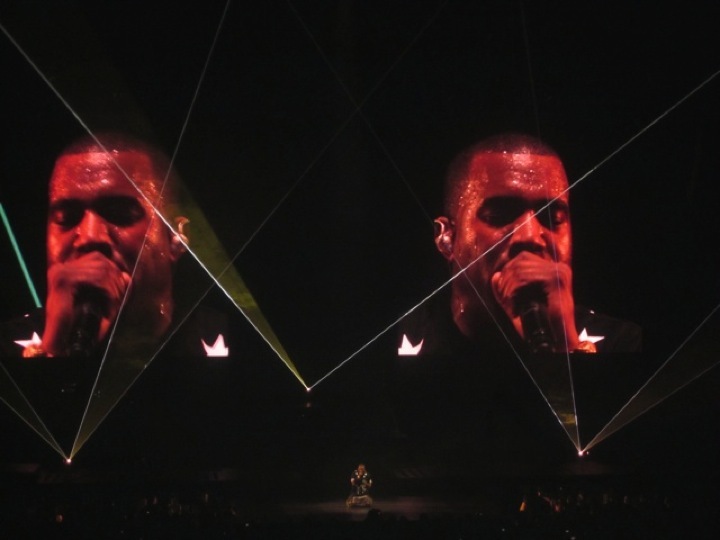 Kanye performed songs such as… Power, Gold Digger, Heartless, and many others. He is an awesome performer!! Well folks, if you would like to see more pictures from the concert I will be posting them on my FB page a little later so check them out. Have a wonderful Wednesday everyone and thanks for stopping by. Next event—-> SHECKY’S Girl’s Night OUT! !